Spring Meadow Early Childhood Center is a pre-school institution in the northern part of Townsend near Old State Elementary School. The school provides classes for children aged three to four years. Students can enjoy a welcoming and friendly learning environment. The school has a lovely children’s playground and play areas where kids can have a fun time playing with their schoolmates and friends. 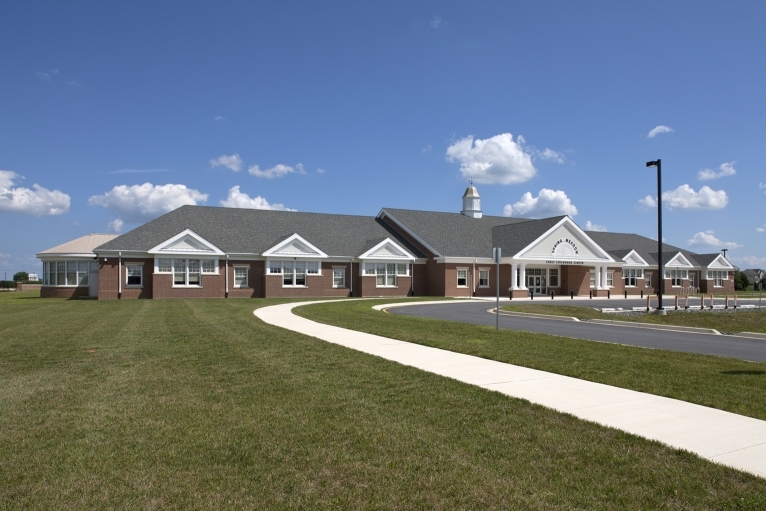 Homes for Sale near Spring Meadow Early Childhood Center, Townsend, DE. Residential communities near Spring Meadow Early Childhood Center are mostly suburban developments. These neighborhoods have beautiful single-family homes, open green spaces, small ponds, and paved walkways. Houses in the area come in a variety of home models including custom-built residences that range from three to six-bedroom layouts. These houses have full kitchens, parking garages, private driveways, and spacious home lots with large backyards where some of which have private pools. Families living in the neighborhood are a short drive to the downtown district of Middletown. There are shopping and commercial centers along the central part of the city where restaurants, supermarkets, grocery stores, and local businesses are found. Residents can also easily access the Augustine Wildlife Area which is located northeast of the school complex. The nature preserve features a variety of outdoor and recreational attractions that the entire family can enjoy, and among these are outdoor parks, open green spaces, picnic areas, nature trails, fishing spots, beach access, and more. We are an experienced team of Professional Realtors that helps clients buy and sell properties in the region. Whether you are planning to buy a new home for your family or are looking to sell a property fast, we are here to help. Our team will help market your home using a variety of means to reach out to potential buyers. From listing your property online to contacting interested buyers, we will make the process of selling a home as fast and comfortable as possible. If you have any Real Estate questions, Contact Us today and we will provide you the information you need.